Please note that these lectures are a double-feature, at 1:00 p.m. and 2:45 p.m., on SATURDAY. This program, which is co-sponsored by the Victorian Alliance, is given in memory of Michael Weller. 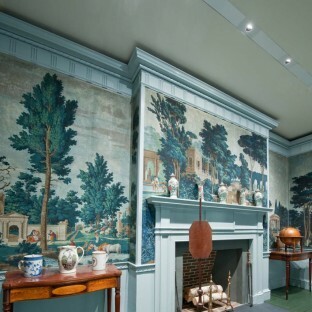 Michael Weller was a founder and dedicated supporter of the American Decorative Arts Forum. 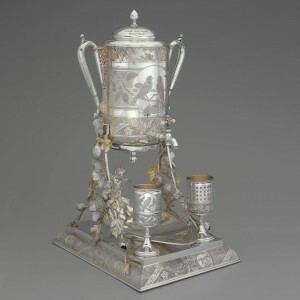 His acute, aesthetic sensibilities were shaped by the historical context of the panoply of silver objects he treasured. The program is free to VASF members. 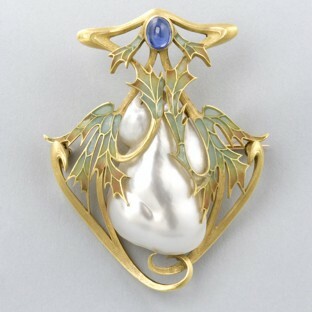 A confluence of aesthetic, cultural and technological innovations in the second half of the 19th century produced novel and beguiling forms in American silver. 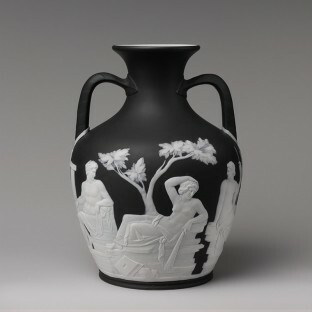 Many of these objects were part of complex dining rituals through which members of the upper class demonstrated their elite financial and social positions. These specialized forms — which a commentator in 1857 called “the polite implements of eating” — ranged from asparagus tongs and tomato servers to ice water urns and orange holders, and their decoration was often as varied and intriguing as their highly specialized functions. Their appearance in American homes coincided with, and sometimes resulted from, advances in food preservation, the development of an intercontinental railroad, innovations in manufacturing and the discovery of gold and silver in California and Nevada. John Stuart Gordon’s presentation explores how these alluring designs transformed the dining table as a microcosm of the social and commercial aspirations of Victorian America. As the ranks of the increasingly urban middle class greatly expanded in the 19th century, Americans eagerly demonstrated their robust consumer strength and newly acquired sophistication. They turned to etiquette manuals which carefully described the intricacies of expected social comportment. Dr. Gordon’s quotations from these sources will illuminate how navigating the dining table, with its ever-changing array of dishes, flatware, glassware and serving pieces, became a perpetual test of the diner’s erudition, i.e., whether the diner deserved a seat before such an opulent display. The advent of service a la Russe brought about even more changes in the types of silver that were required for fashionable dining. 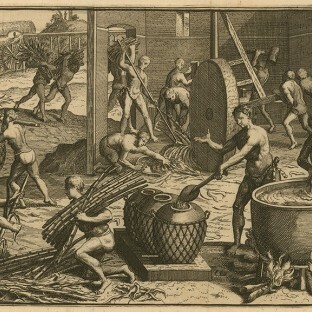 As new foods became commercially available or fashionable, manufacturers developed new silver forms to fuel demand for these specialized forms in a myriad of patterns. 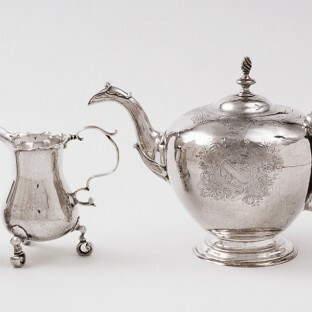 Shifts in decorative arts styles ran parallel to shifts in cuisine, so that dining silver appeared in every popular taste from Neoclassical to Neo-Grec. Rococo Revival’s whimsy, however, became a constant touchstone for dining silver. 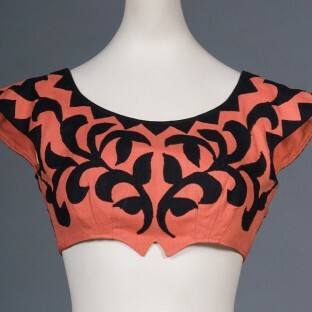 Apart from decorative arts fashions, numerous design “echoforms” referenced their function in their appearance. 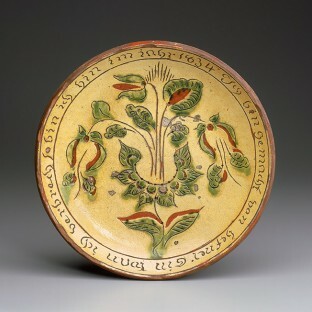 For example, utensils for serving fish adopted maritime motifs. John Stuart Gordon will season his talk with new information about makers and their patterns to provide additional flavor to these captivating objects. February’s speaker will conclude the first session of his exploration of the merger of culture and aesthetics on the American dining table with the Aesthetic Period, which marshalled a network of global visual references to produce extraordinary and engaging dining silver.